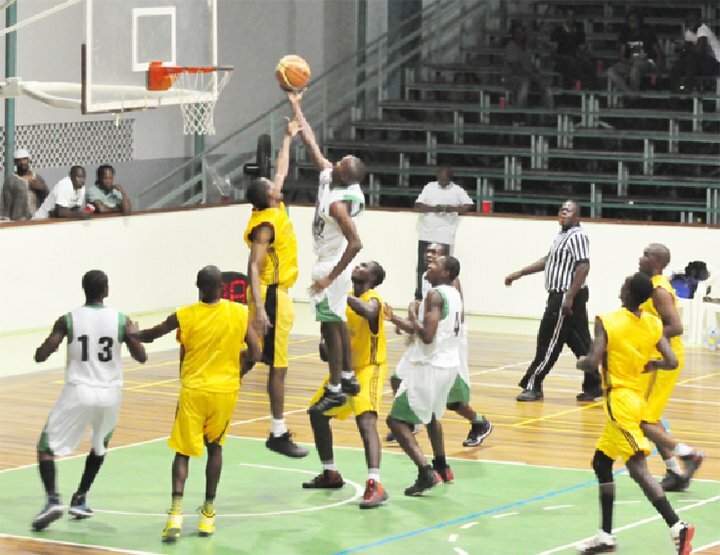 The ‘Road to Mecca’ began Saturday night at the Cliff Anderson Sports Hall with wins for Colts, Retrieve Raiders, Ravens and Kings as the new executive of the Guyana Amateur Basketball federation staged its first tournament a countrywide inter-club affair. By far the most lopsided win of the night was registerd by Colts who scored a massive blowout win over oponents Rose Hall Jammers. In the process Colts became the first team to register three figures in the tournament as they defeated their opponents by a whopping 70 points (102-32). 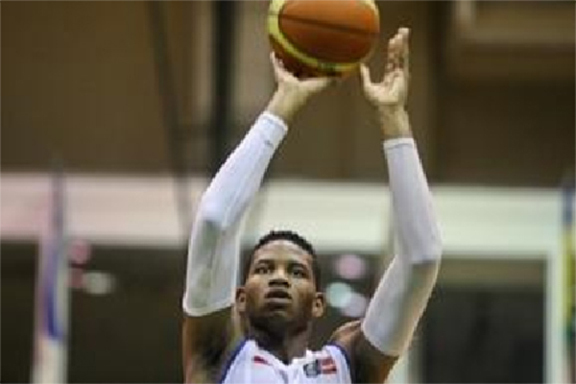 Shelroy Thomas was the top scorer for the winners with 26 points. He also pulled down six rebounds, had five steals and four assists. Dave Causeway supported with 15 points, eight rebounds, eight steals and three assists while Nikkolai Smith contributed 14 points and three steals. For Rose Hall Jammers Antonio Anton scored 13 points and had four steals. Another top Georgetown club side Ravens was a little less dominant over another Berbice club side New Amsterdam Warriors who they downed by 80 points to 44. Top scorers for Raavens were Ryan Gullen, 17 points and 10 rebounds, Dominic Vincente 14 points and three rebounds,Rodwell Fortune 13 points, four rebounds and two steals and Jermaine Fortune 12 points, 12 rebounds, two blocked shots and two steals. For the losers Edmar Semple scored 12 points and pulled in eight rebounds. Another Berbice side Smythfield Rockers failed to break the losing trend going under to Linden’s Retrieve Raiders 65 points to 85. Loris James 22 points, seven rebounds and two steals, Neil Marks, 15 points, nine rebounds, four assists and two steals, Dwayne `Brown Sugar’ Roberts 13 points, 14 rebounds, three steals and one blocked shot and Alexander Rose, 13 points and four steals were the principal scorers for the Raiders while neil Wills, 19 points, 11 rebounds and three steals and Jamal Felix, 15 points, eight rebounds and four steals were the top shooters for the Berbice club side. 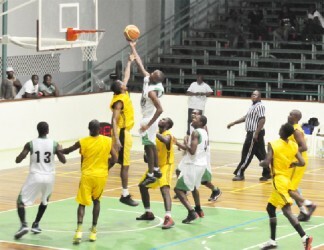 In the fourth match, another Linden side Kings, defeated Republic Bank Nets in overtime by 56 points to 47. Orin Rose was the top scorer for the Kings with 17 points, 12 rebounds and one steal while Mortimer Williams, 16 points, five rebounds and three steals and Fabian Johnson 12 points and 13 rebounds led the way for Republic Bank Nets.